The pattern this round really celebrates color. Chroma is a chevron, rainbow, wrap that works through these hues end to end for a spectacular finished accessory. 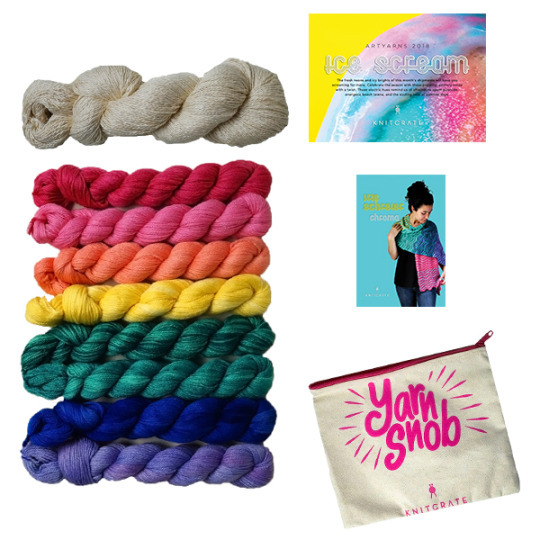 This is the perfect on-the-go knit, and we’ve even provided an especially cheeky project bag for you to travel with. The total value of this crate is $144, and you’ll be getting it all for the price of only $99. This is a Summer steal you can’t let pass you by. 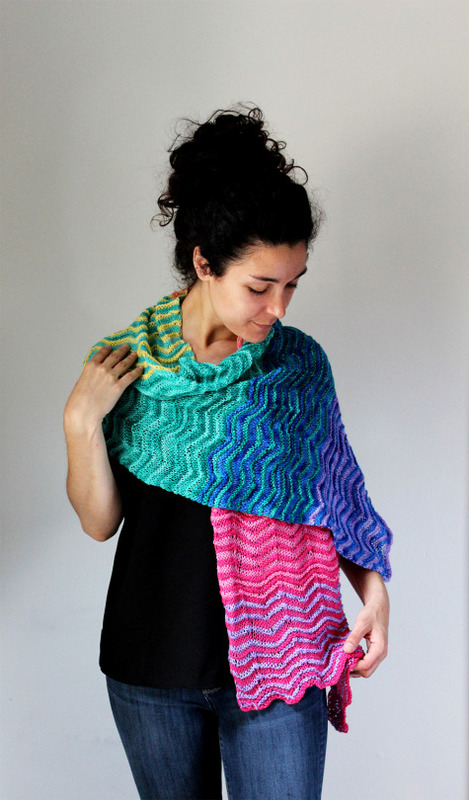 After you pick one up, make sure you join us in the Ravelry group thread and knit-a-long on this gorgeous wrap.